Categories: flowers | Tags: art, books, care, caring, comfort, design, emotional encouragement, emotional health, emotional power, emotional support, encouragement, faith, family, feelings, flower photos, flowers, friends, friendships, happiness, health, hugs, inspiration, inspirational, inspirational quotes, inspirational sayings, joy, love, Maxine Billings, natural, natural beauty, nature art, nature lovers, nature photography, nature photos, Nature's Finest by Maxine Billings, photo album, photo book, photography, pictures, poems, poetry, positivity, relationships, scriptural sayings, Shutterfly, writing | Permalink. Hello, everyone! I just wanted to let you all know that because I have generated such a large collection of photos from my various photography adventures, I have created my very own personal photo gallery on the Internet. 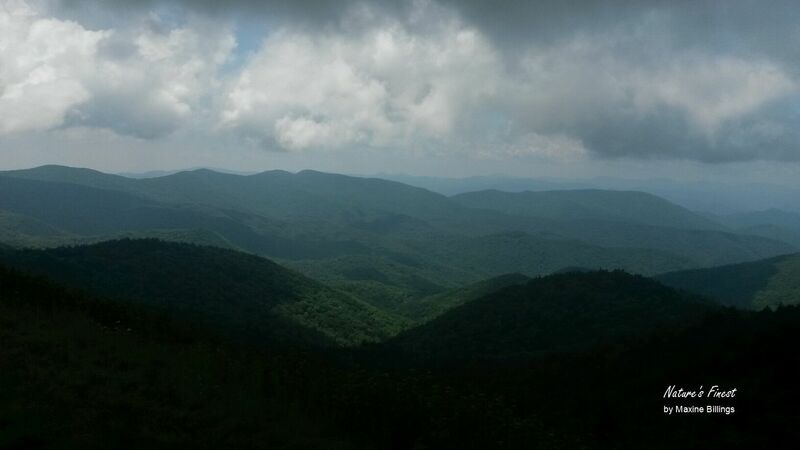 The picture above is a sample of what you’ll be seeing in the gallery. Some of the photographs will be ones you’ve seen before, such as this one, but I’ll also be adding many more that I have not yet shared. Since this project is still a work in progress, please be patient with me as I continue to gradually build it up. If you would like to see what I’ve done so far, please click here. And as always, this is from my heart ❤ to yours <3! Categories: Uncategorized | Tags: art gallery, natural creation, nature photography, online art gallery, online photo gallery, photo gallery, photographs, photography, photos, pictures, virtual art gallery, virtual photo gallery | Permalink. 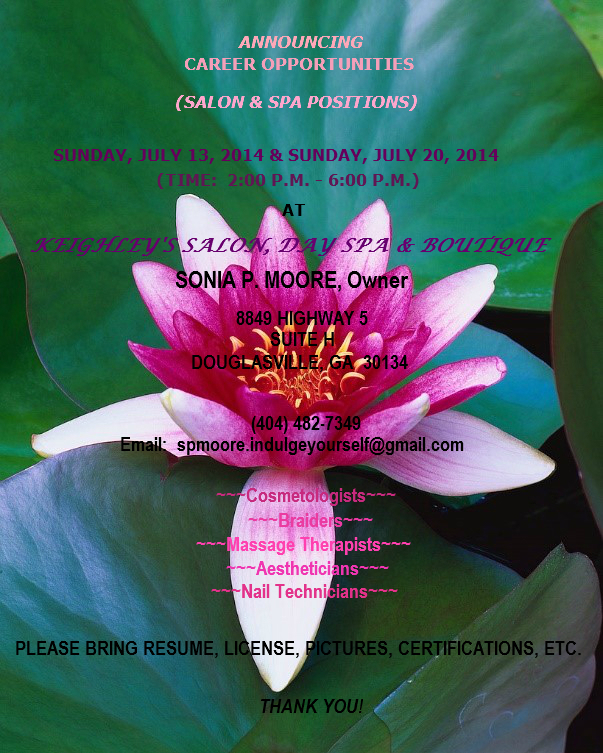 Categories: Uncategorized | Tags: aestheticians, braiders, career opportunities, certifications, cosmetologists, Douglasville GA, employment, indulge, job fairs, job openings, jobs, Keighley's Salon Day Spa & Boutique, license, massage therapists, nail technicians, pictures, resume, salon & day spa positions, Sonia Moore | Permalink.